all-inclusive. Our team of buyers is constantly on the lookout for the next must-haves, and tons of new styles are added every day! So if you wanna stay at the forefront of fashion, there�s no need to go anywhere else. Whatever it is, GoJane has it. But are there benefits to registering? The email address you provided will be the username you use to log in. Easy, right? You can find out by checking the drop-down menu of all the countries we ship to, located in the Shipping section. You don�t ship to my country. Now what? Don�t worry, you can still place an order! Just contact a mail-forwarding company. Ship your order to their U.S. address (you would only be charged our domestic rate), and they will send you the package once it�s been received. This item won�t add to my shopping cart. The bad news is it is most likely sold out. If you are still seeing the item, we are probably in the process of removing it from the site. But the good news is we do receive restocks from time to time, as well as new items daily, so make sure you keep checking back. You can also sign up to receive a restock notification if an item does return! You�ll see an area to enter your email if you come across a sold-out item. Does GoJane do gift certificates? Yes! You can purchase gift certificate codes, which are available in $25 increments, by clicking here or selecting the �Accessories� tab on our navigation menu. You can enter a gift message if you�d like, and the certificate will be emailed to the recipient within 24 to 48 business hours, redemption instructions included. I haven�t received any confirmation emails. What�s up with that? Standard orders generally ship out within 3 business days, and expedited orders will ship out the same day if placed by 11AM (PST) Mondays through Fridays. I placed my order on the weekend with expedited shipping. Why hasn�t it shipped yet? All orders received on weekends are processed the following business day, so sit tight. We�re gonna get it out as soon as we can! Can I change my order or cancel it after it has been placed? We wanna make sure you get your order as quickly as possible, and our facilities are fully automated to do just that. So once an order has been placed, we are unable to cancel it or change any items. Thank you for your understanding! Can I get a price adjustment or apply a coupon after an order has been placed? Unfortunately, we cannot make any changes to orders once placed. This includes the price and coupons. I won�t be home to sign for my package. Will it be left at my front door? It depends on the carrier�s policy and the driver�s discretion. If the driver doesn�t think it is safe to leave a package, he or she will return with it the next business day. I don�t want my package to be stolen. Can I make sure it requires a signature? We can't change an order once its been submitted into the system and it includes adding signature required to an order. Customers will need to type in their request to the customer comment section so i can honor it before releasing. My package isn�t here, even though the tracking says it�s been delivered. Now what? If you still haven�t found it, please contact Customer Service within 10 days of the original quoted delivery date at service@gojane.com, so that a representative may begin a lost/missing package investigation with the delivery company. Resolution of the matter could depend on the results of said investigation. I paid for Expedited shipping to Canada, and it�s been 7 days. Why isn�t my package here? Orders to Canada are shipped via United States Postal Service and Canada Post. Standard orders can take 2 to 4 weeks to arrive. Expedited orders generally take 5 to 7 days to arrive, but those dates cannot be guaranteed because of possible delays in customs. If a customs number was included in your shipping confirmation email, that could be a useful reference when tracking your package or trying to obtain additional information from customs. I already paid for International shipping. Why was I charged additional fees when my package was delivered? Some countries will impose additional tariffs on items shipped from abroad. These nation-specific duties are added by your respective government and are not shipping charges from GoJane. Please contact your postal service and customs officials for more information. Canadian residents can visit www.ccra-adrc.gc.ca (Canada Revenue Agency) or www.cbsa-asfc.gc.ca (Canada Border Services Agency). Canada customs can be reached at 1(800)461-9999 toll-free from within Canada or 1(204)983-3500 / 1(506)636-5064 from outside Canada. How will I know if my return has reached you? We dont know whether a package has been received by our warehouse until it is ready to be processed, so we definitely recommend shipping your item(s) back to us with a tracking number. That way you can watch your return and know exactly when it is delivered! How will I know if my return has been processed? I lost my invoice. Can I still make a return or exchange? I took off all the tags and threw away the shoe boxes. Can I still return my order? Definitely, as long as the merchandise has not been worn and still meets the 30-day return policy. But please note that all products returned without their original tags and shoe boxes may be assessed a $1 restocking fee per item. Nooooo. The item I want is sold out. Will it be back? Can I let you know what item I am looking for? For sure! Just sign up for a restock notification. You�ll see the prompt when you click on an item that is sold out. We�re continually keeping track of those numbers, so that�s the best way to put in your two cents! Plus, you�ll get an email as soon as the item is restocked. Two birds, one stone. You don�t have physical stores? At this time, no. But you never know what could happen! For now we�re happy to be an online-only store, which allows us to get you the best in new merchandise as quickly as possible -- our number-one priority. Ordering from GoJane is super easy and always secure. You can place an order on our website anytime. GoJane.com accepts VISA, MasterCard, Discover, and American Express credit cards, as well as PayPal and money orders. If your billing information does not match what your financial institution has on file or if you are shipping to a location that does not match your billing address, your order may be placed on hold and delayed for security verification purposes. GoJane is not responsible for any delays this may cause. Your order will be shipped out upon receipt of payment. Unless you opted not to receive it, we will send you an email confirmation after your order is submitted. You will also get a shipping confirmation email when your package is sent out. Once that happens, your initial email confirmation will update to show a �Shipped� status and include a tracking number if applicable. If you are a registered member, you can also select �My Account� and check your order status under the �Order History� tab. Gift certificate codes are available in $25 increments. To purchase, just click here or select the �Accessories� tab on our navigation menu. You can enter a gift message if you�d like, and the certificate will be emailed to the recipient within 24 to 48 business hours, redemption instructions included. Enter your gift certificate code in the �Coupon Codes & Gift Certificates� box at the bottom of your checkout screen (codes are case-sensitive), and click apply. You may enter as many gift certificates as necessary by separating the codes with commas. If the amount of the gift certificate covers the total cost of your order, you do not need to enter any credit card information. If there is a remaining balance, you will need to provide additional payment information. Ordering from GoJane.com is totally safe. From the moment you enter our Shopping Cart, you are on a secure server using SSL (secure socket layer) technology. Your credit card and personal information is encrypted when transmitted to us and stored in a protected environment. If you receive a message that some pages on GoJane.com are not secure, please note that this is only an alert which results from going from a non-secure page to a secure page. To keep the site quick and efficient, we only secure the pages that contain your sensitive information. If you are ever concerned about the security of a page, simply look at the URL. If it begins with an �https://� instead of �http://� you are on a secure page. We also respect your privacy. Information provided is used exclusively by GoJane and never given or sold to third parties. Some of our products are made of vinyl or imitation leather which may contain lead, a chemical known to the state of California to cause birth defects or other reproductive harm. For more information on lead and Proposition 65, please click here. Click here to log in or register now! Domestic shipping to the continental U.S. is handled by the United States Postal Service or UPS. Expedited, 2-Day, and Overnight orders placed before 11AM (PST) will be processed the same day (or the following business day if placed on the weekend or holiday). Most other orders will be processed within 1 to 3 business days. GoJane only ships on business days. Holidays and weekends are not business days. Please visit ups.com to see a complete list of observed holidays. Please note that some packages may require a signature and may not be released if no one is present at the time of delivery. GoJane cannot be responsible for any delays caused by signature requirements or adverse weather conditions. Delivery dates for Economy and Standard shipping are estimates only. Expedited, 2-Day, and Overnight shipping methods are guaranteed to arrive by the quoted dates. Actual shipping rates and expected delivery dates are estimated in the cart and finalized when your order is placed. Non-Guaranteed Shipping Methods Economy and Standard shipping is delivered by the United States Postal Service or UPS. Although they are not guaranteed to arrive by the expected date, it is uncommon for packages to arrive past the expected delivery date. Economy packages will arrive in up to 8 business days. Economy shipping begins at $6 and will vary based on the destination, weight, and dimensions. Economy packages are shipped after all other methods have been shipped first. Standard will arrive in up to 6 business days. 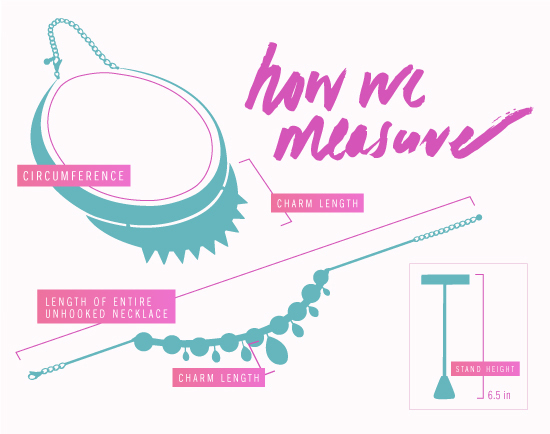 Standard shipping begins at $8 and will vary based on the destination, weight, and dimensions. Standard packages will ship after all guaranteed methods but before Economy. Guaranteed Shipping Methods Expedited, 2-Day and Overnight shipping methods are guaranteed to arrive on-time or your shipping fee will be refunded. Both GoJane and UPS are not responsible for shipments that are delayed due to causes beyond UPS�s control including, but not limited to: the unavailability or refusal of a person to accept delivery of the shipment, acts of God, natural disasters, acts of terrorism, insufficient information provided by a customer, riots, strikes or other labor disputes, civil unrest, disruptions in national or local air or ground transportation networks (including, but not limited to, UPS�s transportation network), disruption or failure of communication and information systems, and adverse weather conditions. Expedited packages are shipped by UPS or USPS and will arrive in three business days or less. Expedited shipping begins at $16 and will vary based on the destination, weight, and dimensions. 2-Day packages are shipped by UPS or USPS and will arrive in two business days. 2-day shipping begins at $20 and will vary based on the destination, weight, and dimensions. Overnight packages are only shipped by UPS and will arrive in one business day. Overnight shipping begins at $28 and will vary based on the destination, weight, and dimensions. Orders shipping to Alaska, Hawaii, US territories, and APO/FPO addresses are only shipped by the United States Postal Service. Shipping charges are calculated in real-time based on the subtotal in your shopping cart and the expected weight of your order. The minimum shipping fee is $13. Most orders arrive in 3-9 business days and will vary based on distance and population density. Orders shipping to Canada are sent via United States Postal Service and Canada Post. Delivery dates cannot be guaranteed because of possible delays in customs. Please note that the Canadian customs office may impose additional tariffs on items shipped from abroad. These government-imposed duties are not shipping fees and are not being charged by GoJane. The customer is responsible for these tariffs and duties.GoJane offers two shipping methods for our Canadian customers: Standard Canada and Expedited Canada. Standard Canada begins at $15, and most customers report receiving their orders in less than 8 days. Some rural customers have experienced shipments taking up to 4 weeks. In these cases, it is almost always an issue with the customs office. Expedited Canada begins at $35 and takes 4 to 7 days to arrive. All shipping charges are calculated in real-time based on the subtotal in your shopping cart and the total weight of your order. International orders are shipped via United States Postal Service and can take 2 to 4 weeks to arrive. Expedited shipping is not available for international orders other than those shipping to Canada. Please note that some countries will impose additional tariffs on items shipped from abroad. The customer is responsible for any country-specific tariffs and duties. These nation-specific duties are added by your respective government and are not shipping charges from GoJane. Some orders (predominantly those with large quantities of shoes) may warrant additional shipping charges due to weight and size limitations. If your order requires fees in addition to those represented in the shipping chart, we will contact you to approve these charges before shipping out your order. International shipping & handling charges begin at $34.99 and will be calculated real-time in the shopping cart. An order that is refused will be charged the original shipping plus the return shipping it takes for the package to get back to our facility. All orders shipped via UPS are subject to the Terms and Conditions of Service� as detailed on UPS.com. Here at GoJane we pride ourselves on customer service and satisfaction. So if for some reason you are not happy with your order, you can send it back for a refund or exchange as long as it is within 30 days of the ship date (returning package must be postmarked as so) and the merchandise has not been worn, washed, or altered in any way. Original shipping and handling charges are not refundable, and the customer is responsible for return shipping with the carrier of his or her choice. We recommend shipping your item(s) back with both insurance and a tracking number -- that way you are protected from the possiblity of loss during shipping and will know whether your package has been received by our warehouse. Returns and exchanges generally take 7 business days to complete once received. Please keep in mind that it may take an additional 7 business days for your refund to be posted to your credit card account. Once a return as been processed, you will receive a confirmation email. Any item returned without its original tag or shoe box may be assessed a $1 restocking fee. GoJane is happy to exchange any merchandise that isn�t worn, washed, altered, or Final Sale for another size or even another item altogether, as long as it is within 30 days of the ship date (returning package must be postmarked as so). The customer is responsible for return shipping, but all exchange items will be sent back out with free shipping on us. For orders placed with a coupon, the discount can only be honored for an even exchange of the same item. New coupons cannot be applied to exchange orders. If you�d like to make an exchange, we recommend contacting Customer Service and putting the item(s) you want on hold first. This way, the item(s) won�t sell out before your return has reached us. If you need to change your hold item(s), you will need to contact us again, as the system will automatically process the items you already have on hold and not what is noted on the back of your invoice. No returns or exchanges can be accepted for the following items: all cosmetics, intimate bottoms, intimate sets, one-piece swimsuits, swim bottoms, swim sets, all shapewear, tights and socks, self-adhesive products, and all Clearance Rack items. If any of the above-mentioned items are returned, no refund or exchange will be processed, and the customer will be responsible for any shipping charges that go into recovering the merchandise. An order that is refused will be charged the original shipping plus the return shipping it takes for the package to get back to our facility. All orders shipped via UPS are subject to the �Terms and Conditions of Service� as detailed on UPS.com. Purchases made between 11/6/2018 and 12/31/2018 are eligible for a refund or exchange if the returning package is postmarked by 1/6/2019 or 30 days from the date of purchase, whichever comes later. 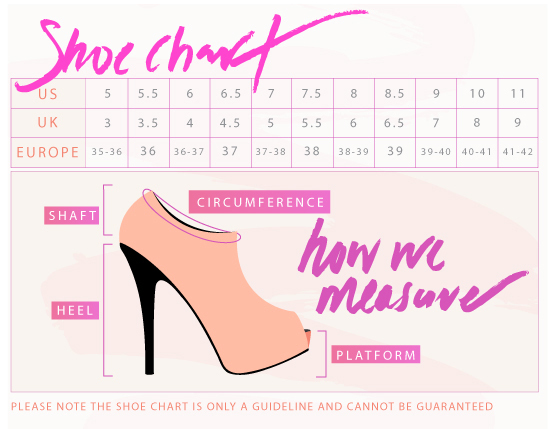 GoJane carries women's shoe sizes (usually ranging from size 5.5 to 10), while clothing is in junior sizes (usually ranging from small to large or size 0 to 15). Occasionally XS and XL sizes also become available for select items. 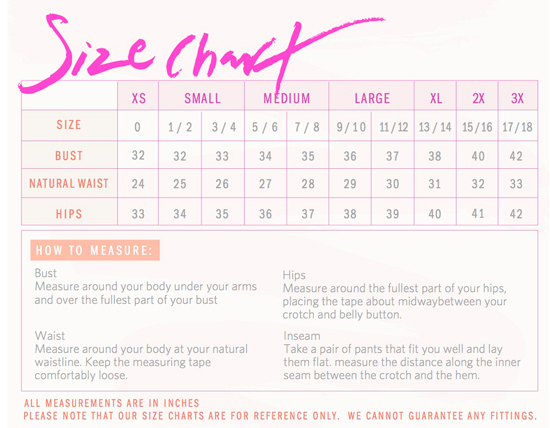 Please refer to the size charts below for more insight! Got a question about an item or your order that wasn't answered in our FAQ's section? Just shoot us an email Mondays through Fridays from 9AM to 4PM (PST). You can also access the chat feature located at the bottom right-hand corner of the site Mondays through Fridays from 9AM to 5PM (PST).